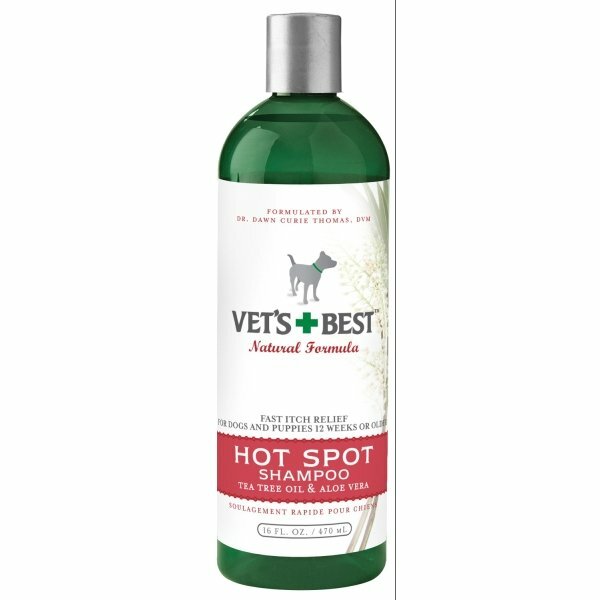 Vets Best Dog Hot Spot Shampoo has different options and/or variations, please choose below. Directions: Wet coat then pour shampoo evenly over the wet coat. Avoid contact with eyes. Lather and massage coat for 5 minutes. Rinse well. Repeat if necessary. Bathe as often as needed to soothe dry itchy skin and haircoats. Contains: Tea Tree Oil, Aloe Vera, Allantoin, Panthenol and Vitamin E.